What Time Is Fiverr Buyers Request Updated? Fiverr or Blogging? Which One Should You Go For? 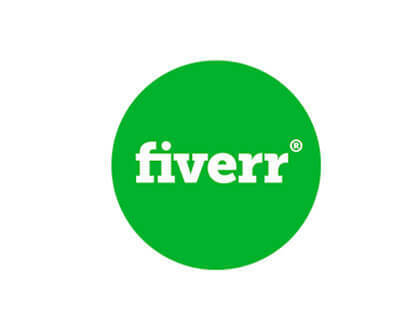 Africans, especially Nigerians have found out that Fiverr favors people from first world countries like the UK and the US. This has led many to devise means of getting a foreign account so as to enjoy all the benefits accruing to these accounts. We will look at how to change your Full name on Fiverr in a bit. Fiverr as we all know has developed so much in their algorithm that they disable people at any slightest mistake. These mistakes are brought about by either forgetting to make use of a strong VPN service that is used to change the location or during verification. During verification, you are allowed to upload an ID that shows the name you provided while creating a gig on Fiverr matches with the name on the ID. Funny enough, many people fail to change the names before going through the verification process. This leads to an outright ban of the account by Fiverr. After gig creation, however, there is no other way of changing your full name on Fiverr without first of all deleting all your gigs and starting afresh. Deleting a gig that you have worked for months to rank is not a solution as there will be no need for creating the account after all. Although the full name and other details are not visible to your clients, Fiverr team make use of it for crosschecking the IDs you upload for verification. On this article, we would be looking at a way of changing your Fiverr full name without deleting all your gigs. This will open up a page that contains the former full name and other details you used earlier when creating your first Fiverr gig. After filling the original details on your ID and saving it, you can now go ahead and verify your Fiverr account without any fear of getting banned by the team. Did this help you change your full name on Fiverr? Let me know about it. You can share your other Fiverr problems on the comment section of this page and I will reply you immediately. Do well to share the post on social media and help your friends change their full name on Fiverr. Ohh my God!!! You are a God's sent!! For sharing this very important piece of information which have just saved my life now,I pray that the good lord who gave you the wisdom to discover this information will continue to see you through in all your endeavors Amen! But sir, please, I hope that it won't be suspicious owing to the fact that I made these changes hours after I have been told to verify my identity.